The Michael G. DeGroote Institute for Infectious Disease Research is pleased to invite student applications and Staff award nominations for this year’s Michael Kamin Hart Memorial Scholarships. 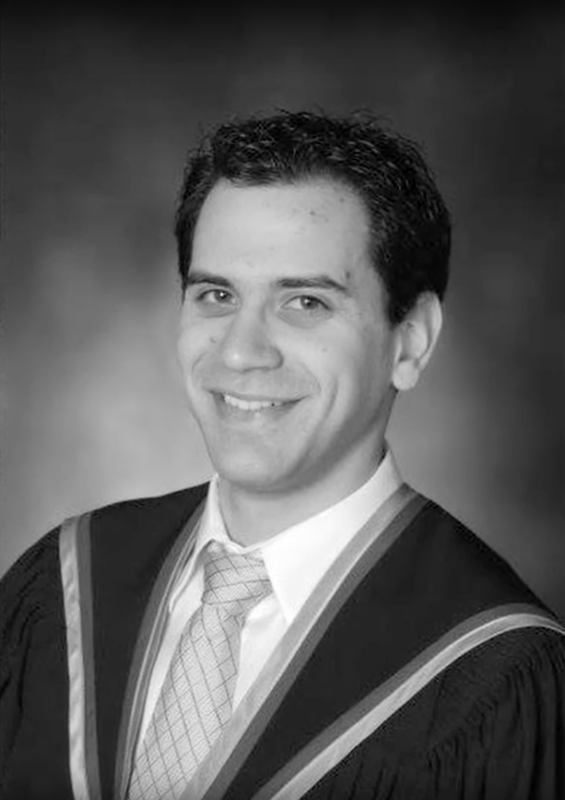 Established in memory of IIDR Master’s student Michael Kamin Hart, this scholarship was initially awarded in 2011 to a Master’s student who demonstrated the same degree of academic excellence, leadership, and enthusiasm for science that was evident in Michael. Thanks to the very generous support of Michael’s family and friends, the IIDR has since expanded this prestigious scholarship to include a summer undergraduate, Master’s, PhD, and Staff award. The Michael Kamin Hart Memorial Staff Award is awarded to a technical staff member who has made outstanding contributions in their role during the past year and who has achieved excellence in demonstrating the IIDR’s core competencies and values. The award, worth $500, is presented to a staff member during the IIDR’s annual Trainee Day based on nominations from colleagues. To nominate someone, please send a one-page letter to iidr@mcmaster.ca stating how your nominee meets the above criteria. The deadline for nominations is Friday, September 14th, 2018 at 11:59 pm. 1 – an undergraduate summer student (3rdor 4th year) who plans on pursuing graduate work at McMaster. Students who completed their undergraduate degree in the Spring of 2018 are eligible for this award. 2 – a Master’s level student who began their MSc degree in September of 2016 or later (including students who have since transferred into the PhD stream). 3 – a PhD student. All direct entry PhD students and PhD students who transferred from the MSc stream who have been in graduate school for more than two years are eligible for this award. Recipients are awarded a scholarship amount of $1,800 ($500 for undergraduate) and are invited to present a talk on their research at the IIDR’s annual Trainee Day. All eligible IIDR trainees are encouraged to apply by submitting their project abstract and CV through the “apply here” link below (undergraduate applicants are also required to submit a copy of their marks). Further, your supervisor must submit a Letter of Support to iidr@mcmaster.ca (see criteria below). The deadline for applications is Friday, September 14th, 2018 at 11:59 pm. The applicant’s supervisor must submit a letter of support, addressed to IIDR director Dr. Gerry Wright, briefly outlining the achievements of the candidate, their research potential, and how the student embodies the legacy left by Michael Kamin Hart. Michael Kamin Hart was a promising Master’s student at the IIDR, remembered by director Dr. Gerry Wright as “inquisitive and creative; a team player but also highly independent”. He was exceptionally dedicated to his research within Dr. Justin Nodwell’s lab, where he focused on discovering new antibiotics from environmental microbes that have the potential to be used as new drug candidates. In a short period of time, Michael identified, purified, and solved the structure of a potent antimicrobial molecule, 13-deoxytetrodecamycin. His enthusiasm and pursuit of knowledge was highly admirable. Sadly, while in his second year of his Master’s degree, Michael was diagnosed with non-Hodgkin’s lymphoma, losing his courageous battle in 2011. Yet, Michael’s science continued to press forward, and in 2015 his research findings were published in The Journal of Antibiotics. Through his research, the molecule that he discovered exhibited potent activity against a strain of Staphylococcus aureus, known for its multi-drug-resistant nature. His discovery suggests a possible use for this molecule in treating infections caused by highly resistant bacteria – insight that is desperately needed given the current global antibiotic resistance crisis. At the IIDR, Michael’s legacy lives on not only through his publication, but through the Michael Kamin Hart Memorial Scholarships established through his family and friends. Through these scholarships, Michael will forever be remembered as a dedicated young scientist, an outstanding student, and a loyal friend.